Experimentation is the essence of learning science. Learning science without practical work is like learning literature without reading books. This has been the mantra for science teaching, in the UK at least, since universal science education began in the 1980s. But with school and college budgets reducing, practical work is under scrutiny as never before, because labs, technicians and equipment make science more expensive than non-practical subjects. What is more, in our exam-focused culture, the assessment of practical science is also under the microscope, with the exam regulator Ofqual having removed practical science from the A level and GCSE grades. So this is a good time to think about why we do practical work in science. What are its purposes? The literature suggests there are at least five reasons. to motivate and engage students. When we asked science education specialists in different countries why they use practical science, we found that all these purposes were thought to be important, to varying degrees. But often, teachers rate the purposes of practical science differently from official curriculum documents. For example, teachers regard the motivational effect of practical science as highly important, though it is rarely mentioned in official documents. I believe that if we had a clearer idea of why we do practical science, we would be in a better position to choose which experiments to do and how to integrate them with ‘theory’ lessons. That in turn might help teachers to get better returns on the investment that schools make in practical science. Over the next few months, the Gatsby Foundation will be looking at how successful countries approach practical science, and hoping to learn some lessons for the UK and elsewhere. As part of this study, I’ll be giving a talk on Practical Science: Why do we do it? What’s it like when it’s good? with colleagues from other countries at the ASE Annual Conference. It’s part of the ASE International Day on 6th January 2016 – a chance for science teachers from across the world to share their views on one of the most important aspects of science teaching. 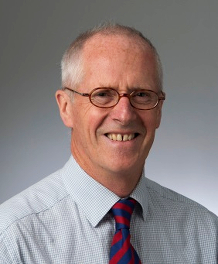 Sir John Holman is Emeritus Professor of Chemistry at the University of York, President-Elect of the Royal Society of Chemistry, Adviser in Education at the Wellcome Trust and Gatsby Foundation, Chair of the Salters Institute and a Trustee of the Natural History Museum. He has taught students of all ages, and has written textbooks for the UK and overseas. Along with Graham Hill, he wrote the first edition of Chemistry in Context over 30 years ago. The sixth edition was published in 2011.